Dirk Spencer – a recruiter and author whose insights have appeared in numerous articles on our site and others – is serious about resume keywords. 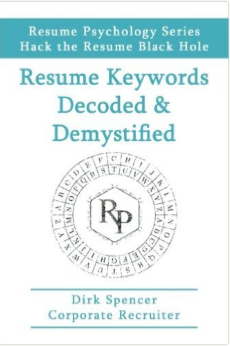 He’s so serious he runs a free class on them, and he recently turned that class into a book, Resume Keywords Decoded and Demystified: Hack the Resume Black Hole. Spencer has every right to be concerned about resume keywords. In fact, job seekers would have an easier time landing jobs if they were as concerned about keywords as Spencer is. In today’s technologically driven world, almost every single resume a candidate sends to an employer will have to get through an ATS first – and that ATS will base its entire evaluation of the resume on keywords. 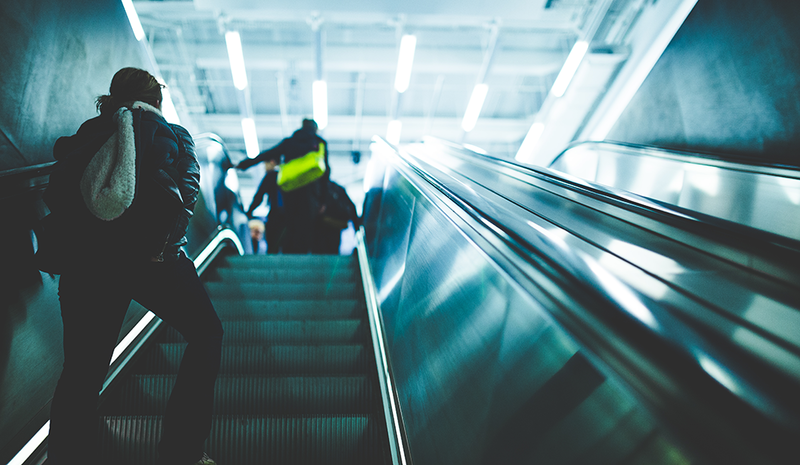 Furthermore, in the increasingly rare instance that no ATS is present, the recruiters and hiring managers reading the resume will also be looking for keywords that prove the candidate is connected to the industry and current in their skills and knowledge. Recruiter.com: As you point out in the book, we often talk about resume keywords, but we rarely explain the “why” or “how” of the matter. Why do you think that is? Dirk Spencer: One of my account managers once said to me, “Our job is finding candidates – not resume education.” That sounds harsh, but every recruiter has a story where they offered help to a candidate about their resume only to have the candidate complain to their management. This makes us reluctant to share what we know. RC: Why do so many career coaches, resume experts, and even outlets like Recruiter Today seem to gloss over this very important information? DS: Two words: immediate feedback. We have access to hiring managers, ATSs, and job boards. We can test and retest keywords in less than a few seconds. In literally the time it takes to type a few words and press the enter key, we have immediate feedback. Dislike the search results? Bang out a few new words and press enter again. More immediate feedback. We never think to share this trial-and-error method of learning with people outside our profession. RC: You mention that resume keywords exist at the “intersection of four areas.” Three of these areas are pretty self-explanatory, but there was one I was surprised to see: “Anthropology and History.” Can you expand on that idea a little? How do anthropology and history factor into our resume keywords? DS: I had a candidate say to me, “Sales is sales [sic].” This statement, fair or not, suggested she had not changed or evolved her sales methods during her career. My hiring managers tell me sales mechanics are always evolving. The evolution is the anthropology. The longevity of the industry is the history. Each will likely have different keywords! This is likely true for most professions. Savvy hiring managers review candidate-speak for this changing terminology to assess whether or not a candidate knows their profession. RC: You mention that people can find keywords in a number of places – books, articles, classes, etc. Most commentators only focus on finding resume keywords in job descriptions. What is the advantage of looking beyond job descriptions for your keywords? DS: We have hiring managers tell us to not to use keywords in job descriptions because they do not want applicants to reverse engineer them to create better resumes. Also, from a competitive intelligence standpoint, many companies post vague job descriptions deliberately. Collectively, this means the candidates must know their industry and skill norms by being connected to the community in order to present the appropriate and relevant skills. RC: You suggest that people should focus on nouns and verbs in their keywords – not on adjectives. Why is that? DS: Nouns and verbs engage the human reader and score higher inside the technology (the ATS). They can offer more specific data than adjectives can in most contexts. Conversely, adjectives are vague, and vague does not score – or is scored lower – with the ATS. Which means, all other things being equal, the more adjectives on the resume, the faster the it can be rejected in a sea of competitive resumes. RC: The book includes a “rejection pool” – a list of keywords that will land your resume in the “rejected” pile if you use them. I found the list quite interesting, but a few of the words surprised me. Why do you recommend against using words like “entrepreneur,” “mentor,” “results-oriented,” and “utilize”? These – like some other words on the list – are quite common in business conversations today. What makes them detrimental to a resume? DS: First and foremost, these terms are lost opportunities for better resume keywords. Second, they are vague, and we know vagueness kills resume scoring in ATSs. Vagueness also kills readers’ attention spans. Third, no recruiter uses these words to find talent. Fourth, no manager has ever asked a recruiter to find an “entrepreneur” “mentor” who is “results-oriented.” Never happens. It’s always about the skills to communicate expertise in the context of the resume.